While many Christians may not agree with his fictional account of Jesus’ lost years before his ministry began, they can reap new insights from the Readers Guide – Jesus and the Path to Enlightenment. He writes that Jesus was the product of transformation and that he wanted others to be transformed also, giving up unloving, violent, selfish and narrow-minded attitudes and offering only love and peace to the world. 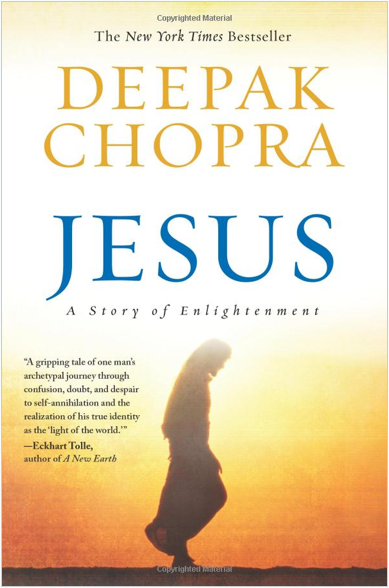 Chopra describes how all Jesus’ teaching was in service of one objective: to find the way back home, to oneness with God. Not so different than moving from the material plane, starting with the root chakra, and working our way up to oneness by opening the crown chakra. While Christianity offers prayer as a way to “transcend,” Eastern spiritual traditions offer meditation, such as used to balance our chakras. Both quiet the mind and expand it beyond everyday boundaries.